Enjoyable demo with great music and nice effects. This is demo! i like very much! 10+ :) Music is awesome. Best in the compo. Unique really upped their game this time. This was awesome! How did this NOT win? Awesome demo and my favourite from the compo. This is the best revision for years, and this is one of my favorite demos from Amiga compo. 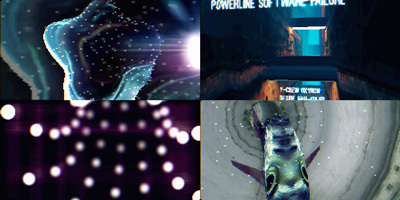 It`s remind me best years of amiga demoscene, that spirit and style of demos i like most. Big kudos, thumb up! Awesome soundtrack, want mp3 from it! Superb demo and a kickass track. Great demo! Nice! Really dig the tune! Very nice looking HAM and good textures. God knows how this didn't win it's mint ! As an AGA 060 democoder I love this kind of demo! :) Features a tripfish even! Mandatory sisävesikala thumb :) A tad too flybyish content for my general taste, but sounded and looked real nice. Always happy to see AGA C2P stuff with enough thought put into lighting, colours and textures, so that when put together, the end result doesn't visually resemble the sauces at an Indian restaurant. Should have won the compo! Very nice AGA release. Great! And I love the colors. Very nice one, although some scenes looked kind of dissapointing, especially when paired to the more awesome looking scenes. I especially liked the greetings between the walls as well as the cube thingy with that glowing round thingy inside. Wow! I thought it's gonna be something in the vein of Cathode (which I also like very much) and was surprised to see such an epic demo. The opening effect with these atmospheric chords is awesome. I love the way how the synth sweeps are combined with glow effect - it is so nice!... 3D scenes are not quite my cup of milk and they look too much 90s for me, but are obviously very well done. I miss the transitions and don't like some palletes though. But all the transparent and glowing stuff, credits part and particle tunnel make me a happy boy. Thank you, Dodke. Thanks all for the comments. One day will try not to throw the demo together at the party. Some scenes, camera movements, syncing and overlays unfortunately didn't quite receive enough attention in that rush to get something done for the compo. Amazing demo and wonderful soundtrack. For me the best prod on Revision this year! Always love Unique design. A great cohesive experience. That is quite a development since Cathode. Unique have this, for the lack of a better word, unique style about their demos and with all the technical development that has lead up to this work then I'm sure we are in for further treats in the future. Respect for using HAM and really doing a demo where it works really well. If I would have to pick a favourite part if would have to be the intro which is so sweetly timed to the music. The only downer would be the mountain scene but still with the sync altering the colours it still strangely seem to fit. I will continue re-watching this demo many many times. Without any doubt, this is my favourite from the compo. Guys, you just rebranded HAM to Hold And Massacre :) ...was my top pick in the whole darn shoot'n match. Also, what Loady said ... the only thing out of place was the landscape. Refreshingly pushing forward the art of the possible on Amiga. Absolutely nuts. Usually when the words "Amiga" and "HAM" appear together, you expect a slideshow. Wow that was massive. I even liked the landscape (only wished for some more texture detail there) and totally dug the colourful rotator/grid near the end. Could you give some more details on the screen mode, i.e. colour depth and resolution? @noname: All the effects render to a chunky buffer of 220x160 (1.5x1 resolution) in 15 bits and are shown on a 640x160 HAM8 screen with the lowest bitplane unused. Great stuff, I like it a lot. Best in compo, very coherent design and impressive music. NICE! There are not so many Amiga 060 productions today. This one is strong and looks ossom in the demo compo. It works good on a real 1260 card as well. I only miss just a little bit more 2d graphics inside. Great! Nice prod... especially that fish! Most classic demo style and I was quite surprised by the high level of this entry. I think it has both the "wow, that's done really well" (beginning, greetings, fish in tunnel) but sometimes also the "uh, this puts it down again" (e.g. the lowres landscape scene). Anyway, great demo stuff for sure. How did this not win?! Best demo in the compo with great music and nice colorfull effects !! Cool demo with very good framerate on 68040/40. you know it's a real amiga demo when it just keeps going even after throwing a few corner case polygons across the screen and into unknown parts of memory. Very nice, although some seen before stuff, but love the flares. Ahh.. should have won! Well executed and great music, and I aslo see some palette references to Interparallactic ;). how did i miss this? great! Music! I do love colorfulness of this demo. RULEZ! was great, even tho i didn't liked some parts. the greets parts!! so good!